Artist’s rendering of an APKWS II missile being fired from an Air Force A-10. The weapon system is currently being tested for employment by A-10 and AV-8B Harrier II aircraft. BAE Sustems image. Work is underway to develop BAE Systems’ APKWS II for fast jets. On Feb. 10, 2011, the Navy awarded a contract marking the start of a two-year Joint Capability Technology Demonstration (JCTD) program to implement the Fixed Wing Advanced Precision Kill Weapon System II (FW APKWS II) on the Marine Corps’ AV-8B and the U.S. Air Force’s A-10 platforms. In essence, APKWS converts the standard 2.75-inch (70 mm) Hydra unguided rocket into a semi-active laser (SAL)-guided precision munition through the addition of a soda can-sized mid-body guidance unit (WGU-59/B) developed by BAE Systems. The mid-body design provides environmental protection – from the weather and the effects of adjacent rocket firings – and adds reliability to the guidance section. The Air Force A-10C will be fitted with LAU-11A/A and APKWS Instrumented Measurement Vehicles at Eglin, while a USMC AV-8B with a LAU-68F/A and APKWS Instrumented Measurement Vehicles will be tested at NAS China Lake. Flight tests with the A-10C and AV-8B are scheduled to commence in Q4 2012 and run through Q2 2013. Shots and military utility assessment are scheduled for Spring 2013. Fifty FW APKWS II plus FW APKWS II tests units are to be used for technical demonstrations and operational assessments. Capt. Brian “Zulu” Corey, APKWS program manager at NAVAIR’s PMA 242 (Direct and Time Sensitive Strike Program) points out that modifications will be necessary to adapt the WGU-59/B guidance unit for fast jets, which operate at higher air pressures, with the AV-8B shooting rockets at over 500 knots, for instance. Changes to the forward half of the guidance unit include wing slot seal modifications to withstand the higher pressures, CAS modifications and wing deployment and wing slot seal cracker. The USMC intends to fit these rockets on its F-18A-D fighters, but this is not yet a part of the ongoing JCTD. This effort will take place after the JCTD. BAE Systems says that integration is planned for several other platforms, including the AH-1Z Viper, AH-64A/D Apache, MH-60, SH-60R, OH-58D, AH-6 and the F-16 fighter as well as the M260/261 and LAU68/61 launchers. In response to an urgent operational need, work is also underway to field the APKWS II on the MQ-8B Fire Scout by March 2013 in a $17 million Rapid Deployment Capability (RDC) weaponization effort. This work is taking place at NAVAIR’s Webster Field Annex near NAS Patuxent (Pax) River, Md., and NAWC, China Lake in California. 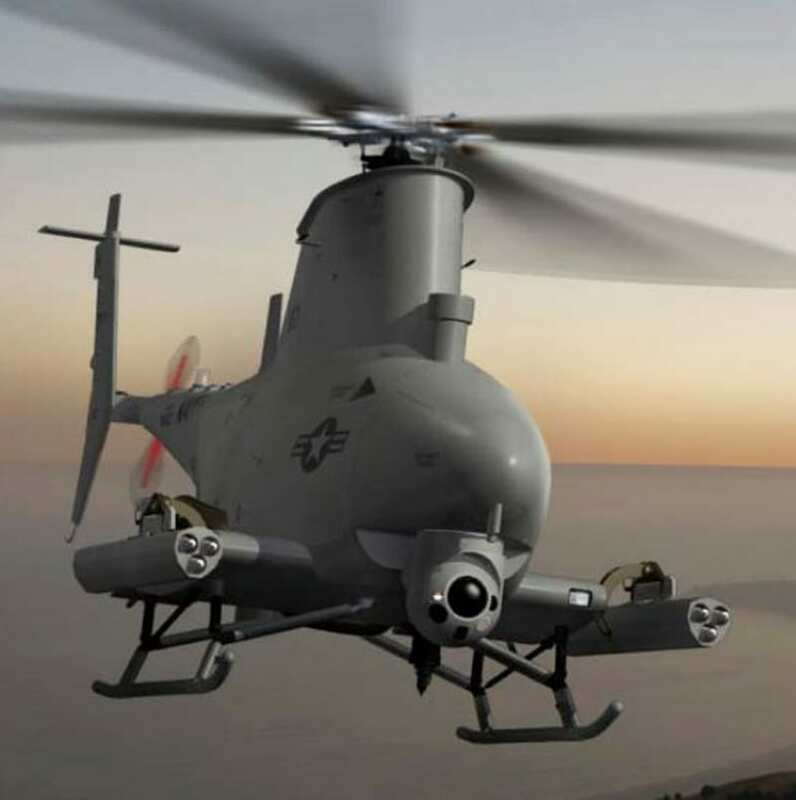 The MQ-8B is to be fitted with two 3-round launcher pods – one on each pylon. 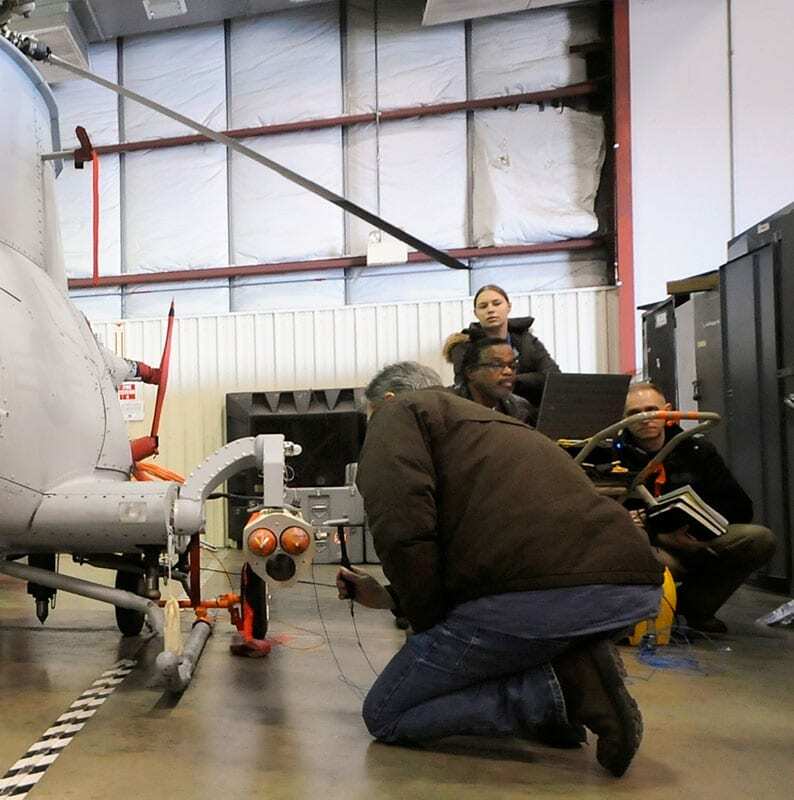 This marks the first time the Navy will arm the MQ-8B, according to NAVAIR. The RDC effort has a timeline of 18 months, whereas typical development timelines are two to three years. “We are pressing forward as hard as we can to get it out there,” says Jeremy Moore, Fire Scout weapons system integration leader at NAVAIR. Flight tests are slated for later this year. Initial fit checks focus on evaluating Fire Scout’s in-flight frequencies to see how vibration affects the weapons and the platform. This is to ensure that when the helicopter is flying, it doesn’t cause the launcher to vibrate at very high amplitudes that would cause damage to itself, the aircraft or in this case the missiles that are inside the launcher, as they are very sensitive according to NAVAIR’s Barry Walden, who is Rotary Wing Team leader for NAVAIR’s Structure Division 4.3.3. APKWS also has potential to be used against the swarming small boat threat known as Fast Inshore Attack Craft (FIAC). FIAC are one component of an asymmetric anti-access and area denial (A2AD) strategy employed by certain nations to obstruct access to their littoral zones. In response, the Navy carried out a demonstration in February to engage a sample set of maritime targets – including maneuvering targets at various ranges – with a “fairly significant success rate,” according to Corey. Obviously, with huge numbers of 70 mm rockets in service around the world, the potential market for the APKWS II is large, and BAE Systems is already talking to several prospective customers.